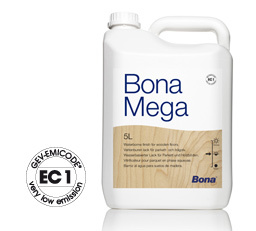 Bona Mega revolutionized the world of wooden coatings in 1995 with its pioneering crosslinking technology in a waterborne formula. Today, Bona Mega still holds a unique position on the market due to its innovative formula that reacts with oxygen, giving the benefits of a two component product.Containing vegetable oils, a renewable resource, Bona Mega is a sustainable choice for the future. 8 million kilos of CO2 emissions have been saved through the unique Bona Mega process. 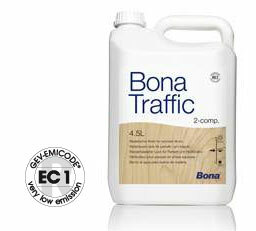 Now the range has a further innovation – Bona Mega Extra Matt – giving you that pure matt wooden look. Comes in Gloss, Silkmatt, Matt, Extra Matt. The finish has a very low gloss level which makes it look almost invisible and resemble natural wood. Proven track record, still unique after 28 million litres and 136 million m2 covered. Partly made of renewable resources. Share the post "Wood Floor Finishes and Seals"